It used to be the case that sites were intensively studied in isolation. 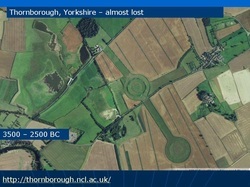 Prompted by better and faster surveying techniques, there is now growing understanding of how sites relate to the wider landscape. From the 'Heart of Orkney' sites to Salisbury Plain, landscape studies are throwing more light on how Neolithic people in Britain lived.